If you have loose or ill-fitting dentures, your ability to eat and speak may become affected. Due to advances in dentistry, there is now a procedure whereby your denture can be fixed to your jaw with dental implants. 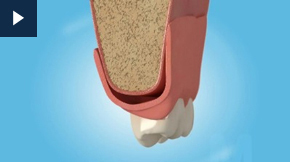 This treatment known as denture stabilisation can improve your quality of life significantly. You will be able to enjoy your favourite foods again and feel comfortable smiling, safe in the knowledge that your dentures are staying put.